Currently I'm booking out 6 months which can be considered a long wait by clients. I thought a post about the process could clear up some questions potential clients might have.There's really three parts when it comes to getting a tattoo appointment with me. It should be noted the third step is really optional based on the size and number of sessions the tattoo will require. 1. The first step is to get your project accepted. I have really dedicated clients who often get work pertaining to my interest or focus. This means that getting into the rotation can be a bit difficult. I give priority to in progress clients followed up by projects within the realm of my interests. 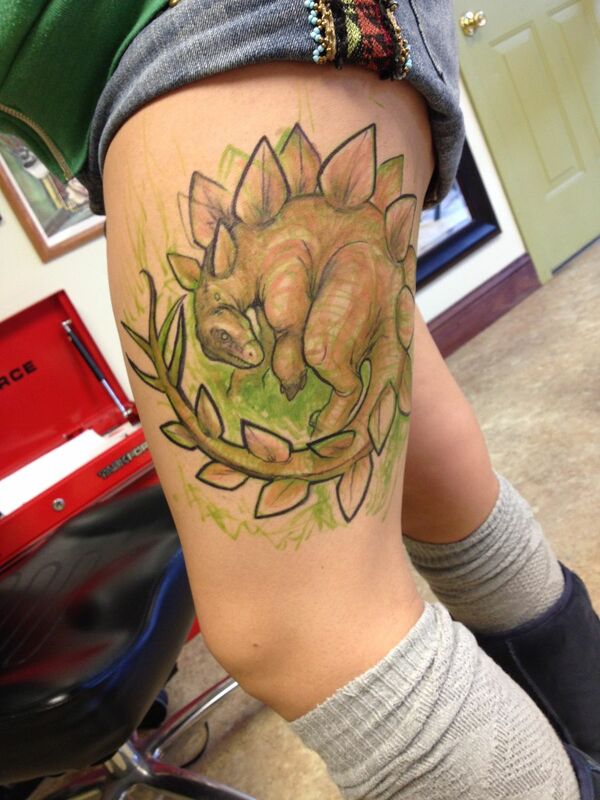 Currently I want to work on projects that involve dinosaurs as the subject matter or bio mech tattoos.This does not mean I wont accept your idea though. I still love to tattoo flowers, nature tattoos such as bird tattoos, underwater tattoos and wildlife in general even sometimes custom script. It's best to send over a loose idea of your tattoo as sometimes a general idea can be really inspiring. 2. 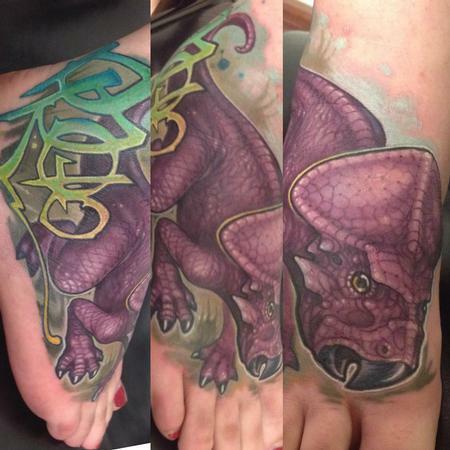 Whether you are looking to get a real school tattoo, bio mech tattoo or dinosaur tattoo we'll set up a consultation appointment. This will let us go into detail about the tattoo and let me ask specific questions. The consultation period also helps me explain my approach and develop my initial inspiration from your idea. This also will allow you to ask any questions about the process or voice any concerns. I also enjoy drawing on the skin with sharpies. This can be alarming to some as they expect to see a fully renedered drawing but the process gives me specific advantages over stencils. Some of the advantanges include creating a tattoo thats designed to flow with your body and allows me to make key adjustments with agility. 3. If you have a multiple session tattoo we'll set up dates for each sppointment. Once you are in the rotation you will get my full attention until the completion of the tattoo. I prefer to work on the tattoo once every month but if the peice is large enough I also like to book back to back sessions. If you are a first time collector that might sound really intimidating. The fact is that we'll be focusing on multiple areas of the tattoo which can make the process much easier. Either way I often do not book a back to back sessions until after the first session where I can gauge your individual skin reactions and tolerence.